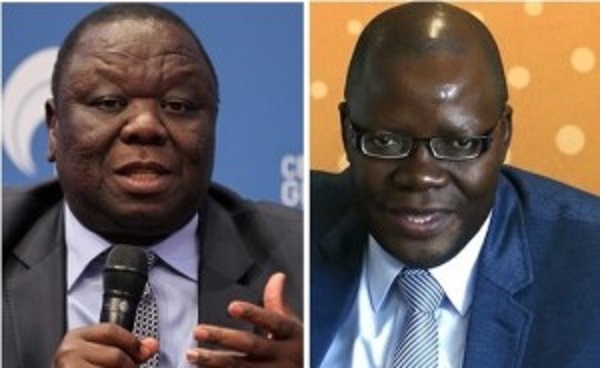 ZIMBABWE – Opposition leader Morgan Tsvangirai says he is ready to work with his erstwhile colleagues such as Tendai Biti and Elton Mangoma in a bid “to free Zimbabweans from the shackles of Zanu PF”. Speaking in an interview with the Daily News last week, the former prime minister in the government of national unity said his fallout with Biti and Mangoma was “based more on personal differences as opposed to ideology”. This, he said, meant that there was “room for forgiveness” in Zimbabweans’ quest to revive the country’s plummeting fortunes. “The process of regrouping of opposition parties does not need any big brother. You have to treat each other equally as there is no such thing as a big party or small party, and everyone can make a contribution. “By everyone, I mean everyone, the Mangomas of this world and the Bitis of this world. If they want to play a relevant role for this country, if they are really serious about representing the people then you will find me very accommodating. “I don’t bear grudges with anyone. Of course, there are colleagues who walked away citing grievances, but when it comes to the question of the people and their quests for change, freedom and a better life for all, you will find me very co-operative,” Tsvangirai said. The MDC president also said he was more than willing to work with Joice Mujuru and her People First movement. “First and foremost I have always said that in the spirit of the big tent anyone who subscribes to the democratic ideals is welcome and if People First launch their party, they are welcome. We will definitely work with them,” he said. “The problem with people is that they look at personalities when these are institutional relations. “Obviously for me, I have nothing against People First, but actually few sorry for them because they were working in a party that eats its own children. We believe in a new direction for the people and that does not involve Zanu PF,” Tsvangirai added.